Vibration is reduced and noise significantly lessened with the Smooth-Balance suspension commercial technology, even at the fastest spin. Automatic adjustments are made by sensors that regulate the intake of water into the washer, based on the size of the lead, the wash cycle selected and the size of the load. You will find extra cleaning performance with this deep rinse feature. 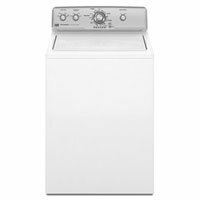 Because it is rated with CEE Tier III, this model will save more on energy and water usage compared to washing machines that are not rated. The EcoConserve feature allows washing using low water level. 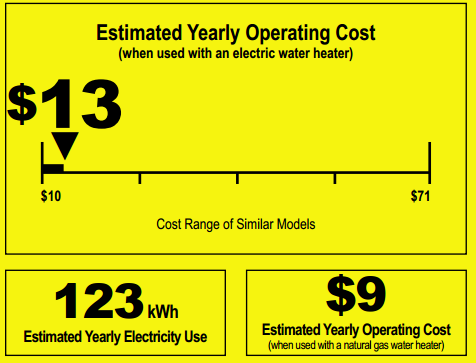 This unit is proven energy-efficient since it is Energy Star-compliant. 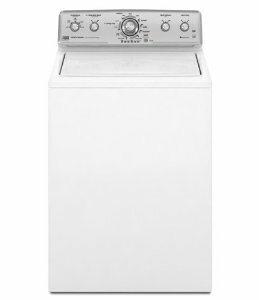 Laundry will dry faster because of the washer’s MaxExtract Extended Spin option. It is easier to load and unload the laundry because the washer has wide door opening. Bleach-treated laundry can be rinsed twice using the Extra Rinse option. 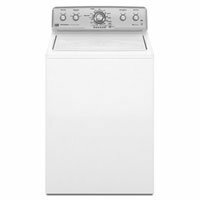 Compared to the latest washing machine models, this unit has relatively less cycles and limited features. Steam is very useful in deep-cleaning and freshening up the clothes. 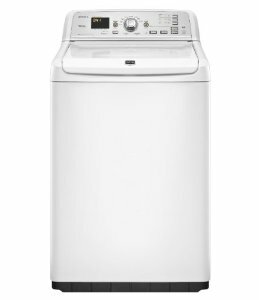 However, this washer doesn’t utilize steam in any of its 11 wash cycles. This washing machine does not come with a built-in heater. The wash basket reaches a maximum speed of 800 rpm only, compared to the others’ 1400 rpm. This model does not have a fabric softener dispenser. NSF-certified Sanitize temperature can be very helpful in eliminating germs on clothes. However, this washer model does not have this feature. Since it is top-loading, this washing machine is more difficult to operate. The washer unit is not stackable, thus using up more floor space. This unit uses an agitator, which can be damaging on clothes. I bought from a couple that were moving out of country, the worst decision I could have made! I have had to call repairman three times, finally got my money back, the store said machine could not be fixed!!! What a beautiful hunk of junk.....! 1. Does not wash clothes properly even when you do what the book suggests and what the people at Maytag say to try. 2. If you have kids or a job that gets you dirty def. stay away. It doesn't get vomit out of anything ( yes I know from experience) and it doesn't wash dirt out of clothes either. So in that case it's not a very sanitary washer by any means. 3. The tiny amount of water that come in there is so small, no wonder it doesn't wash properly. 4. Maytag is horrible at taking action on this awful machine they produced. Even a used appliance store would not take this machine because of how awful it is. And it's only 2 years old, 5. My brand new clothing and sheets have been ruined but this washer. When I pull out new clothes or sheets, often times they have dark and light colors of what was in the wash. And I have used 3 different HE detergents!